Prazgodovinski junaki se soočajo z novimi življenjskimi izzivi. Scrat se še vedno trudi ujeti vedno izmuzljivi orešek, obenem pa se zaljubi v drzno veverico Scratte, medtem ko se Diego odloči zapustiti svoj trop in zaživeti po svoje. Mamut Manny in njegova Eli pričakujeta naraščaj, zato se Manny na vso moč trudi izpolniti svoje očetovske dolžnosti. Lenivec Sid, ki bi prav tako rad imel mladiče, pa se odloči ukrasti dinozavrova jajca. 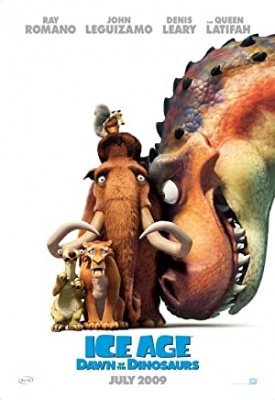 After the events of "Ice Age: The Meltdown", life begins to change for Manny and his friends: Scrat is still on the hunt to hold onto his beloved acorn, while finding a possible romance in a female sabre-toothed squirrel named Scratte. Manny and Ellie, having since become an item, are expecting a baby, which leaves Manny anxious to ensure that everything is perfect for when his baby arrives. Diego is fed up with being treated like a house-cat and ponders the notion that he is becoming too laid-back. Sid begins to wish for a family of his own, and so steals some dinosaur eggs which leads to Sid ending up in a strange underground world where his herd must rescue him, while dodging dinosaurs and facing danger left and right, and meeting up with a one-eyed weasel known as Buck who hunts dinosaurs intently.